Yes, I’m going crazy with my Macaroni. Today’s creation is Kerabu Macaroni or Macaroni Salad Asian Style. I don’t know how it came to me to do this but I was preparing to cook it when suddenly I saw my garden and realized some of the herbs needed to be picked, so there you have it. Easy as hell tasty too and if you want more chilly go ahead and add it in. I was worried that the macaroni would not absorb the flavors as it is made of durum wheat but I was wrong. The flavors infused so well. I will try something like this again. As usual I had no vegetables in my fridge. 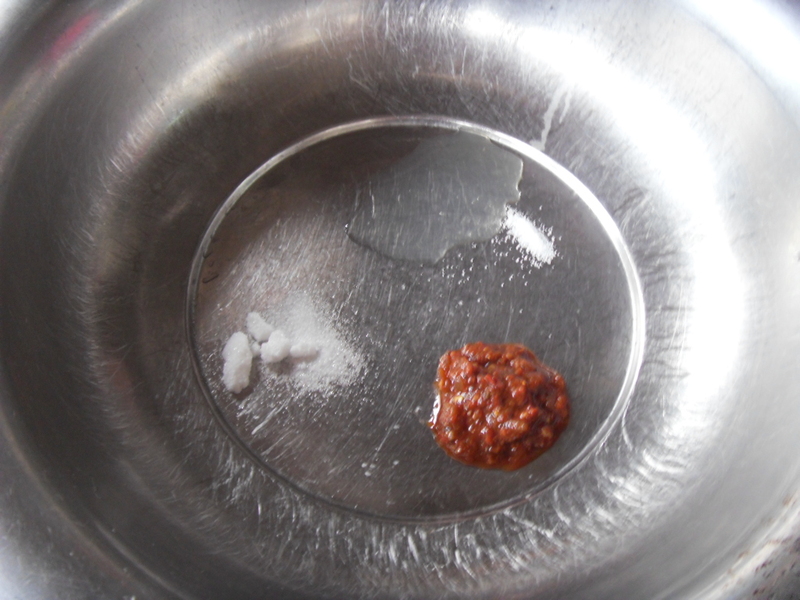 Mix the sambal belacan, lemon juice, sugar and salt into a large bowl. Add in lemon grass and onions. Stir through. Add in macaroni. Stir and taste. 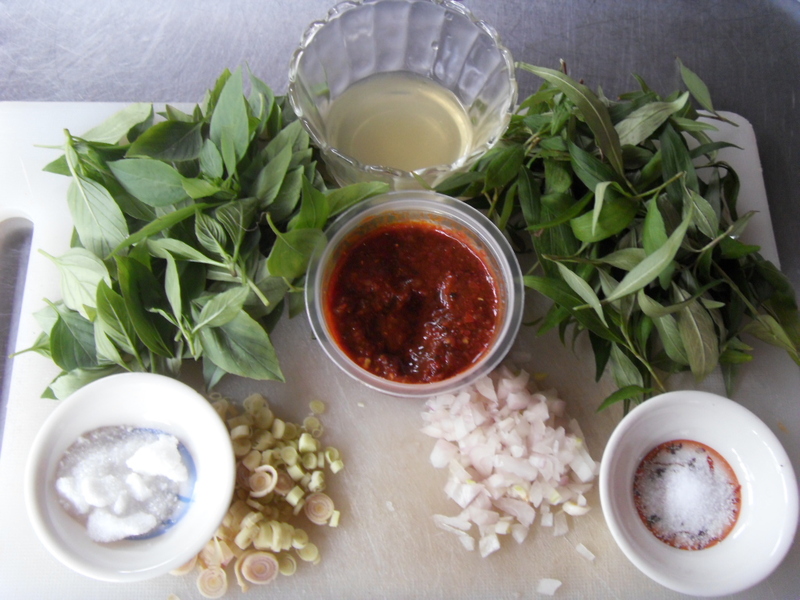 If you need to add in more sauce ingredients, do so now. 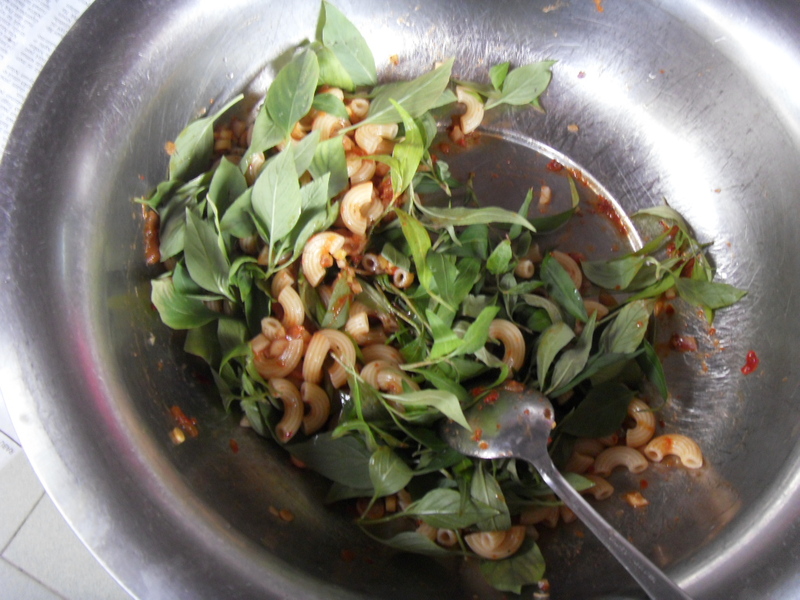 Lastly add the leaves and stir. 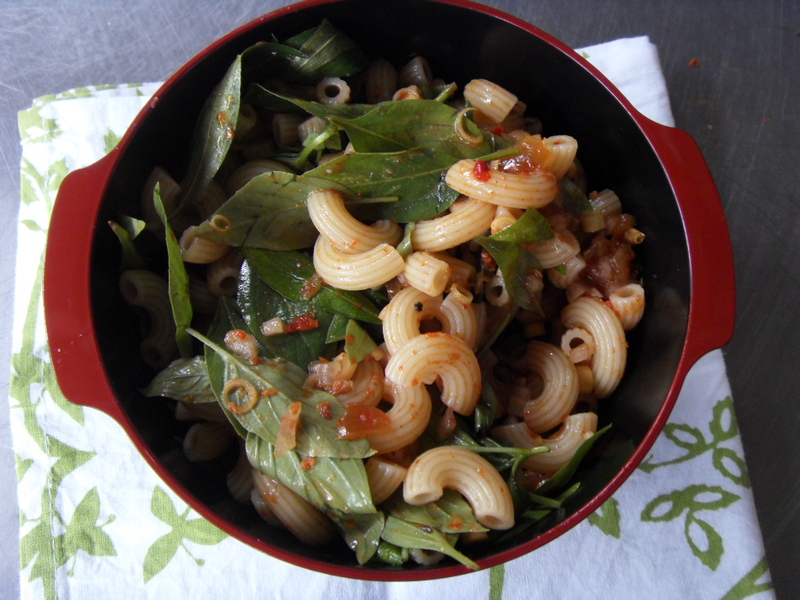 This entry was posted in Pasta Moments..Recipes to fight Rice and tagged Asian Macaroni Salad, Basil Leaves, Chef Nicholas Pillai, Daun Kesum, Daun Selasih, Kerabu Macaroni Recipe, Nicholas Pillai, Vietnamese Mint. Bookmark the permalink. Looks real good nick. Now I am hungy…how now? Long time no see. 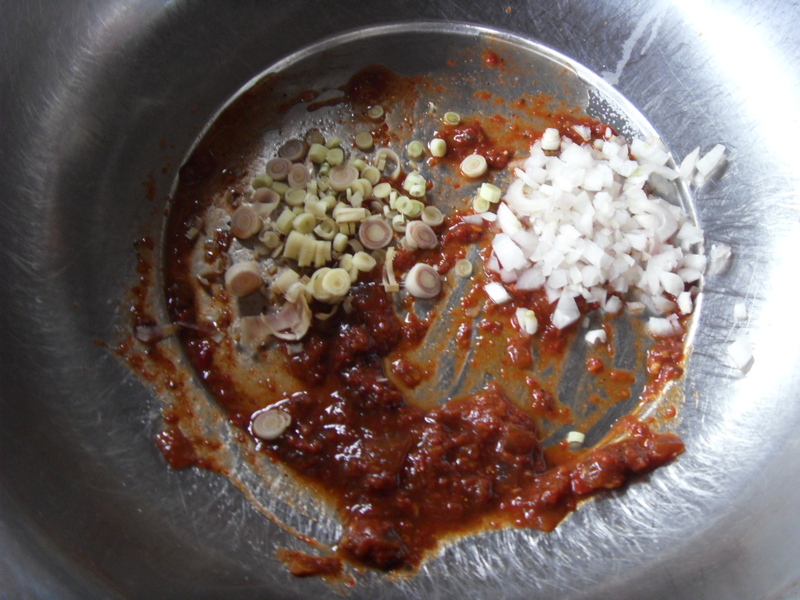 Ye I feel like kerabu macaroni now that you have brought the topic up. No more Macaroni in the cupboard…the girls don’t want to buy as well. May have to nip over to the market and get some.